The Trump Administration intends to appeal the decision of Judge Jesse Furman at the 2nd U.S. Circuit Court of Appeals after the Southern District of New York ruled that the Commerce Department must strike a question from the 2020 Census. The use of his question has energized the usual suspects and some disparate interests, all of which take exception to it. 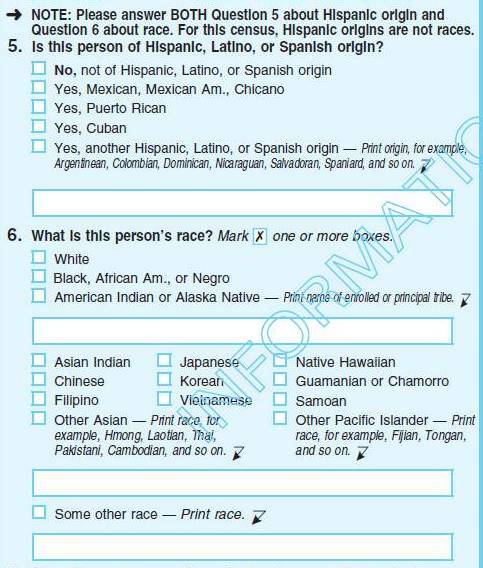 There is precedent for asking Census respondents about citizenship status: The American Community Survey, an annual statistical canvass of 3.5 million U.S. households conducted by the Census Bureau, asks about citizenship, and the main Census itself has done so in the past. A number of left-of-center groups like the American Civil Liberties Union (ACLU), the Brennan Center for Justice at NYU, the American Federation of State, County, and Municipal Employees (AFSCME), American Federation of Teachers, Bend the Arc, Center for Popular Democracy, Common Cause, People for the American Way, Rock the Vote, Southern Poverty Law Center, National Association for the Advancement of Colored People (NAACP), and scores of others have filed amicus briefs challenging the question or issued statements urging the Commerce Department and Census Bureau to drop the question on the grounds that the question will cause non-citizens not to respond to the decennial census. (The Census is required to count “the total resident population of the 50 states” for determining Congressional apportionment, or the number of Representatives to which each state is entitled.) At least 19 states and 10 cities have sued the Commerce Department over the question, citing violations of the Administrative Procedures Act and the Census Act. 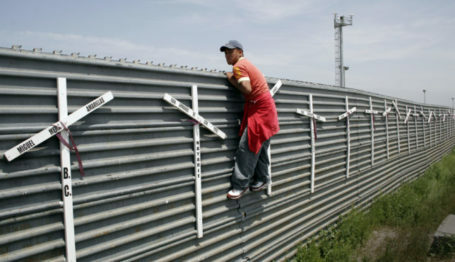 These groups claim (among other things) that the citizenship question on the U.S. Census will deter certain groups, largely Hispanics and undocumented residents who fear deportation, from answering the census, depressing the number of respondents and leading to inaccuracies which have heavy political consequences. Obtaining a reliable headcount through the census is of utmost importance to American civic life. The constitutionally mandated census determines how federal funding for government programs is distributed, how the states draw the maps of election districts which determine state elections, and how the states vote for members of Congress to the U.S. House of Representatives. As reported by Hayden Ludwig in early 2018, there is good reason to capture citizenship information. On a common-sense level, it is important for policymakers to know the makeup of their districts and to understand the size of (potentially) competing interests and policy agendas. When it comes to ensuring that voting is indeed fair, citizenship data can be crucial to determine if the Justice Department needs to intervene in areas where there is suspected voter suppression. Right now, the Justice Department relies on sampling data derived from the American Community Survey. It’s especially unreliable for districts with smaller populations and in communities with high numbers of minority residents who aren’t eligible to vote. The lawsuits also ignore the fact that the Census Bureau has been tracking citizenship data for a very long time. The now-defunct “long-form” census asked this question until it was eliminated in 2000 in favor of the American Community Survey. The American Community Survey, which is distributed to 2.6 percent of the population, asks this question of respondents every year. Furthermore, other government agencies, such as the FBI or Immigration and Customs Enforcement (ICE) are not allowed to access this information. But what’s emerging from the “resistance” to this question is a power-grab that is inherently political. 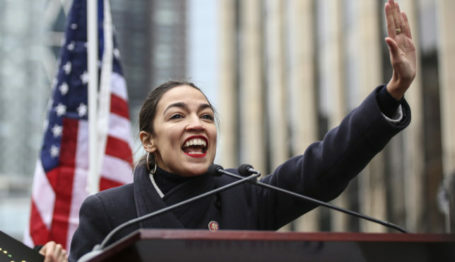 Groups on the left are concerned about supposed underreporting because areas with a high density of foreign nationals—including illegal immigrants—tend to vote for Democrats. (Many are also so-called “sanctuary cities” which do not cooperate with federal immigration authorities.) A depressed population count in these areas could cost Democrats seats in the House of Representatives. After all, after the 2020 Census, the states are required to draw new district maps to reflect any changes in the population in accordance with Article I, Section 2 of the Constitution. This is the opportunity Democrats have been waiting for since 2010. The Democrats have been quietly working to break up Republican-drawn district maps since 2010, when Marc Elias, chair of the political law group at Perkins Coie and counsel to a host of Democratic lawmakers and left-leaning political and nonprofit organizations, secured an exemption from the Federal Elections Commission to raise money for a coordinated litigation effort. His efforts became the National Democratic Redistricting Trust. The effort moved into the national spotlight after former Attorney General Eric Holder founded the National Democratic Redistricting Committee (NDRC)—a registered 527 political action committee which incorporated the former Trust. (Elias remains senior advisor and general counsel to NDRC.) Litigation funded by the PAC argued that the maps constituted racial or partisan gerrymanders that violated the Voting Rights Act. As a result, new maps were drawn in Virginia, North Carolina, and Pennsylvania to name a few. In the 2018 midterm elections, Republicans lost seats in both Virginia and Pennsylvania. (The new map in North Carolina had yet to be implemented: The GOP retained its seats, although one election is unresolved.) Elias and Holder definitely helped swing the 2018 mid-term elections. But the Census question is too important for Holder, Obama, and Elias to sit out. Holder issued a statement through the National Democratic Redistricting Committee in March 2018, promising to litigate the case. In April, Covington & Burling, a white-shoe law firm where Eric Holder is a partner, filed a lawsuit against the Commerce Department. The plaintiffs are voters from Arizona and Maryland—an attempt by Holder to illustrate that voters in Red and Blue states are affected by the citizenship question. According to the Washington Post, the lawsuit is being coordinated by the National Redistricting Foundation, which is closely affiliated with NDRC. In fact, the 501(c)(3) nonprofit organization shares two of its three officers with the political action committee. Kelly Ward serves as NDRC executive director and President and CEO of the National Redistricting Foundation; Elisabeth Pearson sits on the board of both organizations and formerly served as the executive director of the Democratic Governors Association. The third officer, Treasurer Mitch Stewart, is a Democratic consultant whose firm counted Organizing for America as client. 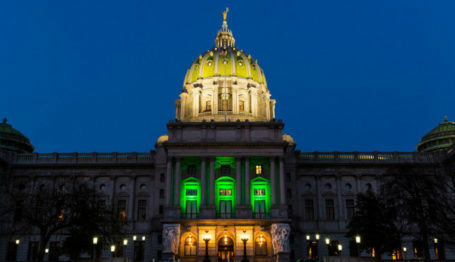 The group is only a year old, but its first Form 990 revealed the nonprofit organization already has $2.85 million to dedicate to its anti-gerrymandering efforts. The Form 990 also reveals that the Foundation is a direct controlling entity of the 501(c)(4) advocacy organization, the National Redistricting Action Fund. The National Redistricting Foundation, National Redistricting Action Fund, and the NDRC all indicate they are headquartered at 700 13th Street NW, Suite 600, in Washington, D.C.—the address of Perkins Coie’s D.C. offices, where Marc Elias works. On its own, the National Redistricting Action Fund reports it has $1.15 million in available funds. Kelly Ward, Elisabeth Pearson, and Mitch Stewart are also the three officers on the (c)(4)’s board. The group recently announced it was absorbing Organizing for Action, former President Barack Obama’s 501(c)(4) advocacy group—a reincarnation of his presidential election campaign. Organizing for Action will cease to exist. Presumably this merger will add over $5 million to the Democrats’ redistricting project as well as make the Obama campaign’s much-coveted email list available to drum up support for its version of a supposedly less gerrymandered America. Who Will Be Asking the Questions? While litigators and politicians make their case to strike or include the question, time is ticking. The 2020 Census Form needs to be finalized soon, before the counting begins next year. After that, the contentious redistricting process will begin. By then the Democrats at the heart of the party’s redistricting effort will have even more money to pay for ballot initiatives, campaign expenditures, and, of course, litigation.